Collecting mosquito saliva in honey can help to track the pathogens they carry, according to researchers in Australia. Andrew Van Den Hurk at the University of Queensland and colleagues have published a report in the journal PNAS detailing how mosquitoes can be coaxed into leaving saliva samples in honey soaked cards. These cards can then be analysed to find any virus RNA present, giving you a precise guide to what viruses local mosquitoes are carrying, without ever having to handle a mosquito. Arthropod-borne viruses, or arboviruses, are a global public health problem, and include things like Dengue, yellow fever and West Nile virus. 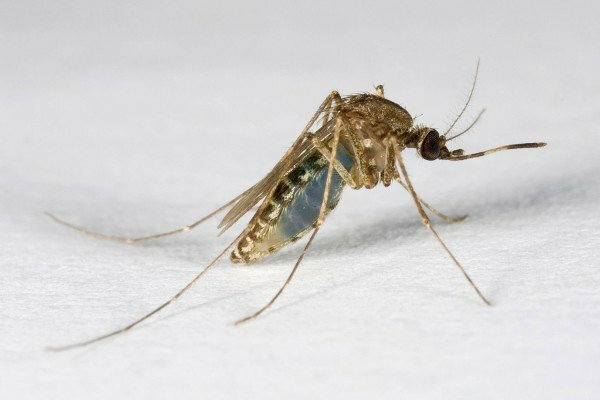 Proper surveillance of these viruses is essential for disease control strategies such as vaccination, but present mosquito-based survey techniques are "expensive and logistically problematic" - involving collection and transport of live mosquitoes. Other survey methods involve disease diagnosis in infected patients or monitoring "sentinel" animals. The honey trap method has several advantages. The honey soaked cards preserve viral RNA for at least seven days without refrigeration - even when tested in both temperate conditions (at a site near Bunbury in Western Australia) and tropical conditions (near the Northern Queensland city of Cairns). The honey itself is an important part of the process, as it remains moist throughout the collection period - ensuring the mosquitoes have access to the liquid sugars that they find very attractive. Manuka honey also has antibacterial properties which help to protect viral RNA from bacterial RNAases, preserving the sample for long enough to be analysed. In lab tests, by adding blue dye to the honey, the researchers could identify which mosquitoes had been feeding, and then compare evidence of virus on the card to traditional saliva samples - showing this method to be of similar or better accuracy to the traditional, more time consuming sampling methods. In fact, some virus particles were transmitted even without the mosquitoes consuming any honey, as an infected mosquito just probing a food source is enough to transmit a virus to a susceptible host. This report shows that this novel technique works for Ross River virus, Barmah Forest virus, Chickungunya and West Nile virus, but the authors suggest that it could be expanded to detect malaria, or used with other virus vector species.